Dr. Godinez-Puig and her entire staff are honestly the nicest and most comprehensive staff I have ever seen! They were kind,courteous, and explained everything. I was able to have all my questions answered clearly and I never felt like I was taking up too much of her time. I have already recommended her and her office to my friends and family and cannot say enough positive things about my experience there. Dr. Godinez-Puig and her entire staff are honestly the nicest and most comprehensive staff I have ever seen! They were kind, courteous, and explained everything. I was able to haveall my questions answered clearly and I never felt like I was taking up too much of her time. I have already recommended her and her office to my friends and family and cannot say enough positive things about my experience there. Great caring professional. Welcome desk very unfriendly and slightly unprofessional. The specialist was great. The visitfelt rushed though, which after a 30 minutes wait I shouldn't be responsible to make everything fit in 30 minutes. Good overall. Great caring professional. Welcome desk very unfriendly and slightly unprofessional. The specialist was great. The visit felt rushed though, which after a 30 minutes wait I shouldn'tbe responsible to make everything fit in 30 minutes. Good overall. 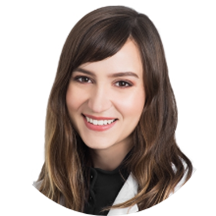 Dr. Victoria Godinez-Puig is a board-certified dermatologist and fellowship-trained Mohs micrographic surgeon. She manages a wide array of skin concerns, from women's skin health, acne, skin cancer screenings, mole checks, to surgical dermatology including Mohs surgery and reconstructive surgery, cosmetic excisions, scar revisions, Botox injections and fillers. She is fluent in English, French, and Spanish, which makes her widely accessible to patients from a wide variety of cultural backgrounds. Dr. Godinez-Puig is originally from Mexico City. She completed her dermatology residency at Northwestern University, where she served as chief resident during her senior year of training. She subsequently performed an extensive fellowship in Mohs micrographic surgery and dermatologic oncology at the University of British Columbia. She is currently a fellow of the American Academy of Dermatology. Dr. Victoria Godinez-Puig is fantastic and explains things very well. The office management and treatment is one of the worst I've received, however. I waited more than 45 minutes to be seen (more than 30 minutes after my scheduled time) andthe people at the front desk seemed very annoyed with me asking if I should do anything else/when I asked to re-confirm my appointment time since I did arrive early for the appointment and all (hoping to be seen on time). The doctor wanted to refer me to a different in office doc and the front desk people were speaking loudly about it so everyone could hear in the office the reason for my referral... VERY unprofessional and is that a violation of HIPAA? Additionally, when I saw the doctor she said she didn't have enough time for me to have a full appointment and so I must return again later this week. It is very frustrating and overwhelms me that I must return so soon and didn't even get the appointment I need to begin with. All that being said, the doctor and her assistant were kind, friendly, and knowledgeable. But, in hindsight, I'd suggest going someplace else unless you don't mind missing a few hours of work/having multiple visits! Dr. Godinez-Puig is wonderful! She saw me right away (I only waited in the room for about 5 minutes) and she has a lovely bedside manner that put me right at ease. I came in for a yearly skin screening withconcern about a mole that had disappeared. She was thorough and explained everything as she was examining my skin. Her front desk staff is great, too! They're very nice and quick -- even with filling out the new patient paperwork, I was called back within 15 minutes of arriving at the office. Very friendly and made me feel very comfortable! Definitely recommend! I felt very comfortable with Dr. Godinez-Puig, she was very attentive, she really listened, and she and the rest of the staff made me feel very welcome. Would highly recommend. Dr. Godinez-Puig was extremely knowledgeable and gave me some great solutions for my hormonal acne (fingers crossed)....Also she presented herself in a very professional way but also super friendly/sweet. Looking forward to our follow up appointment. Thanks Dr. GP! She was fantastic! Very easy to talk to and made me feel very comfortable. I highly recommend her and her staff! Dr. Victoria took time to listen to my history and concerns, was professional and thoughtful with her plan of action. An overall great experience that I felt comfortable with and could trust how it suited my needs. Dr. Godinez-Puig was very kind, knew exactly what I should be on and listened carefully. The nurse, Jackie, was amazing! She was so warm and genuinely tried to help with ways to save on prescription costs. Everyone at the office was great! Really friendly, nice, and attentive staff. The doctor did a great job of explaining her diagnosis and her recommended course of treatment. I got to the office early and was already in the exam roombefore we were even due to begin. Thanks so much! By far the most thorough skin exam I’ve had while also being the quickest appointment! In and out in under 30 mins!